This weekend an EdTwitter discussion (some might call it a spat) broke out along the usual Trad v Prog lines after Carl Hendrick drew everyone’s attention to a website called ‘Ways to use Pokemon Go in the Classroom’. During the conversation I found myself falling out with nearly everyone, which was a bit uncomfortable, so I decided to write a blog as an attempt to explain my thinking. I want to start by saying as clearly as I can, while I am criticising the content of the plans on the Pokemon website I am in no way attacking the teachers who created them. I believe they were written with the very best of intentions and I applaud anyone who freely gives away their ideas. Nevertheless, the authors’ integrity does not leave the content of their work immune from criticism. They believed it was worth sharing and made the choice of sending it out into the cold, unfriendly world of the teachnet, and that’s where it must stand, or fall (like as a shivering Pikachu), depending on its merits. 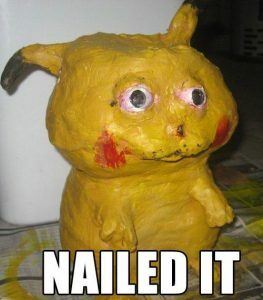 So, let me put my cards on the table: I don’t like Pokemon and I don’t think it should be used in the classroom, it lacks depth, has little artistic merit, and tells us nothing useful about the human condition. While it might be a pleasant way to while-away a few unoccupied hours, it is not something that has sufficient depth or complexity to be worth studying in school. School is an opportunity to learn about subjects that lie outside of most children’s experiences. Subjects that will enhance their lives, provide them with valuable knowledge about the world, and give them an insight into what it is to be a human being. Pokemon does none of these things. 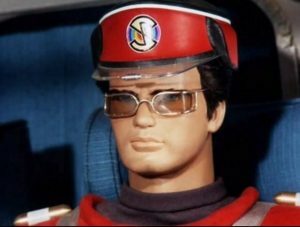 When I was at school I loved Captain Scarlet and there is nothing I would have liked more than playing all day fighting the Mysterons. But classrooms are not playgrounds and my teachers knew best. They taught me about the Romans, and the Greeks, we read Swallows and Amazons, The Hobbit, and I heard about Nelson and the Battle of Trafalgar. These are subjects that have stayed with me and enriched my life, and while I still have a fond spot for the indestructible one, I recognise now Captain Scarlet was not great art, and that my time was better-spent developing knowledge that was worth knowing. Pokemon is a fad and fads cause division. While enormously popular with vast amounts of people, Pokemon is disliked by equally large numbers, who either hate it or feel utterly indifferent. This is the problem with fads and the reason why they shouldn’t be used to engage children in the curriculum. Lilly has a view worth listening to. While, I believe the motivation for using Pokemon was a good one – to get the students engaged in learning by using a topic they are already interested in – there are in fact much better ways of going about it than using fads. Fads are fickle, shallow, and transitory, they are by their nature vacuous, they have a place, but that place is not in the classroom. A much better approach is to use content that has stood the test of time, content that tells us something about the past, and examines what it is to be a human being. There is so much of it in history, in great books, in art, and in drama I don’t understand why we need to look elsewhere. The key is to make this stuff interesting, not to substitute it with stuff that doesn’t do the job half as well. The people who wrote the blog, however, do have a point about grabbing the children’s interest and making learning engaging. It is not enough to serve the curriculum up cold and expect students to take it in just because we say it is good for them. We have to do better than this. And while engagement might not be a great proxy for learning, it is, nevertheless, a vital element in a teaching process that brings children into the world of knowledge and understanding that we want them to love and explore. I worry when teachers make a virtue out of ignoring students’ interests and in making the curriculum as distant from their experiences as possible. Why do this? Is it to make planning easier or is it to sidestep getting involved with children on a human level? I don’t know. Either way it ignores a vital element of what makes learning effective – the students’ agency. A teacher might be brilliant at their subject, brimming with passion, and a gifted orator, but without taking into account their students’ personal motivations, aspirations, and interests they will forever remain a shadow of the teacher they might be. 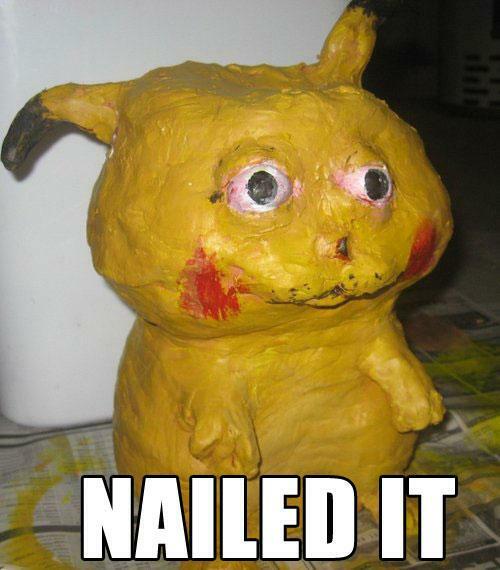 Using Pokemon isn’t the right direction, it lacks depth and sophistication, and there are much better ways to engage students in learning, but the planning on this website was built on a noble intention, one that recognises children as people with lives outside school, with passions, and motivations of their own, and one that wishes to acknowledge these interests and involve the students in their own learning.